The value of experience shows in our work, and actually makes the process a lot easier. Our ALA- certified lighting consultants have over 20 years of experience. Meeting with one of our consultants saves you time and ensures that your lighting project is both professionally designed and executed. We like to share our experience, which is why we designed our 10 Things to Ask Your Contractor guide. Wolfers welcomes the opportunity to review your project. 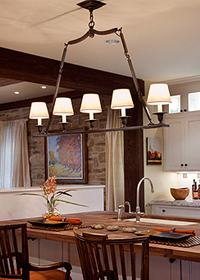 Call or schedule a free one-hour appointment with a Wolfers lighting consultant today.